Like its brother, H-3-9 is a 100%-made from Hinoki and is a 3-ply wood: two external thinner layers and one thicker central layer increase the ball control with minimal speed loss. It is more dynamic than the H-1-9 and also better controllable. 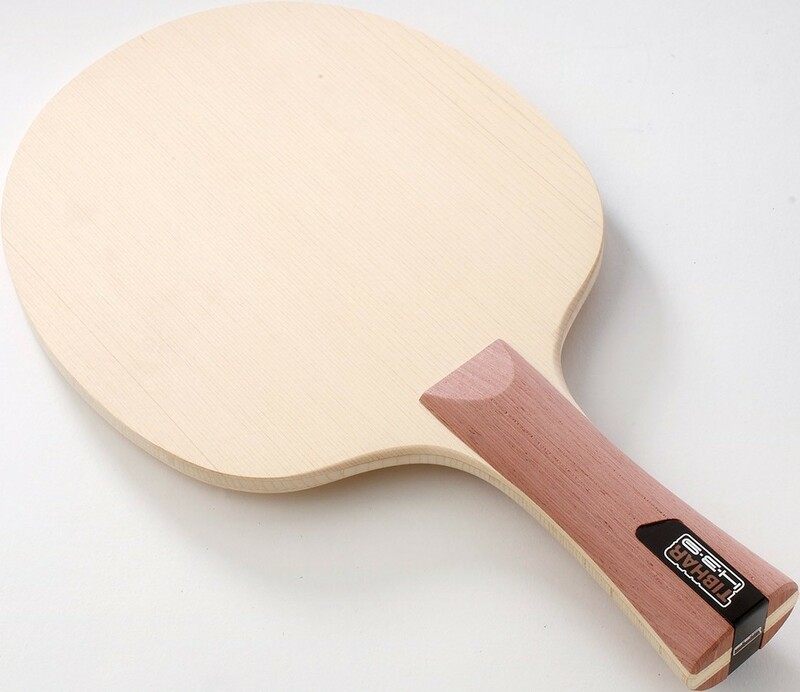 The rough edges of the racket shape to the grip were smoothened. This blade is available in all grip shapes and constitutes the ideal alternative for the offensive player after the glue ban.